Seeing it was in the good stuff section tipped me off to it being about turbos rather than shotguns. You actually look at what section it's in? Yeh, here I thought I had limited knowledge on compounds .. Dman/Remps/ptooms...I understand the steed speed and stainless diesel exhaust sticks out roughly inch r so farther...I assume not a big deal. 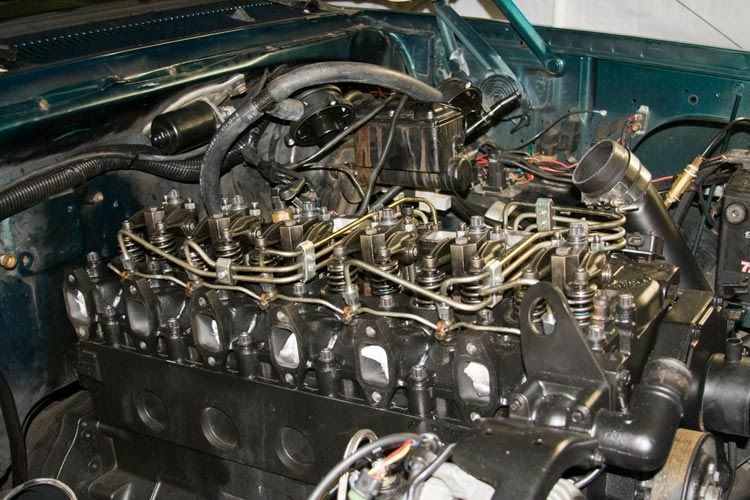 All those manifolds match exactly the same position as stock. The only altered position ones are the straight flange from steed, and I want to say 5* from stainless. I really like steed speeds, I have them on both trucks so far, and they’ll go on anything else I build. 2uphill wrote: Yeh, here I thought I had limited knowledge on compounds .. Dman/Remps/ptooms...I understand the steed speed and stainless diesel exhaust sticks out roughly inch r so farther...I assume not a big deal. I have pictures somewhere of all three side by side if you're interested, Stock [Or was it 3 piece? ], Steed, and Stainless. Stainless..well, I couldn't sell it fast enough to buy a Steed, took a loss just to get away from it. Steed is like a CNC work of art. It's probably too nice for my motor or truck even. Good people and customer service. I've done the three piece dance, leaks, repair welds, and cracks forced me into a Steed. Pricey, but would have been cheaper if I had done it right the first time. I think my compounds have a 1/2" spacer plate at the T3 flange. It's an open style spacer so we ported the HX35 housing and divider to help split the exhaust easier. Typical ATS 3-Piece manifold. Installed upside down for compound system. Includes a 1/2" spacer. 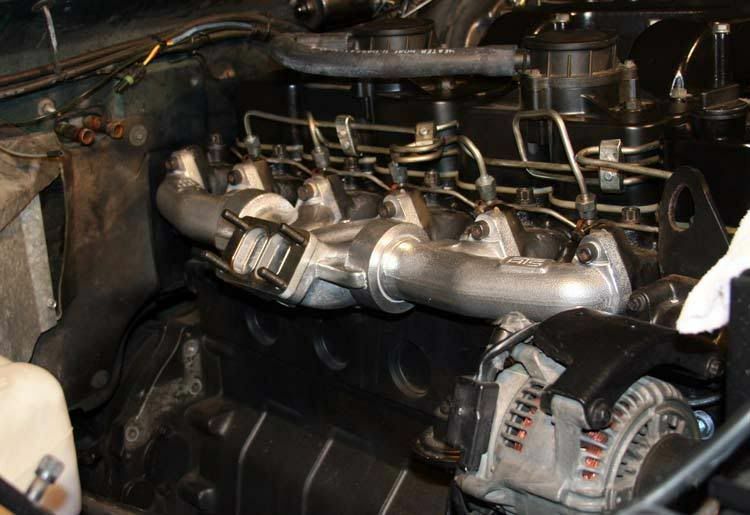 Stainless Diesel T3 manifold. Again, installed upside down for compound system. Includes 1" spacer. Yeah, way back when I knew less about such, I had the folks at Shiede fold me a set of injector lines. They started the process at the injection pump. 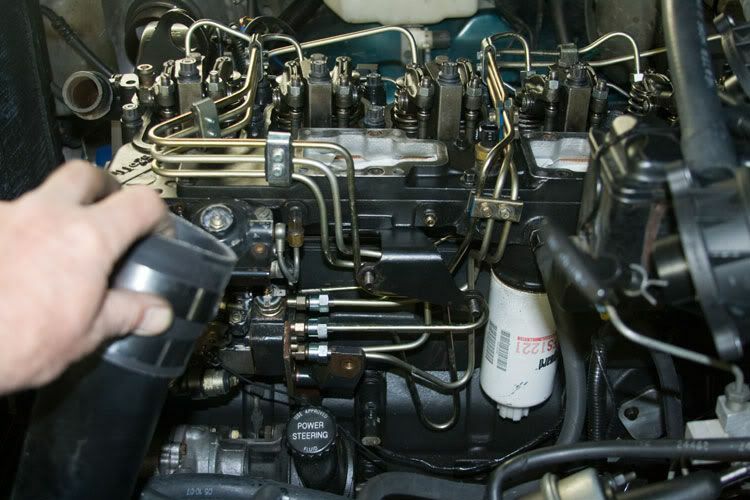 As such, all the slack in the lines ended-up at the injectors. Looked like sthi. This is using lines I folded myself placing the slack at the IP. That’s funny they made me a set as well (2yrs ago?) 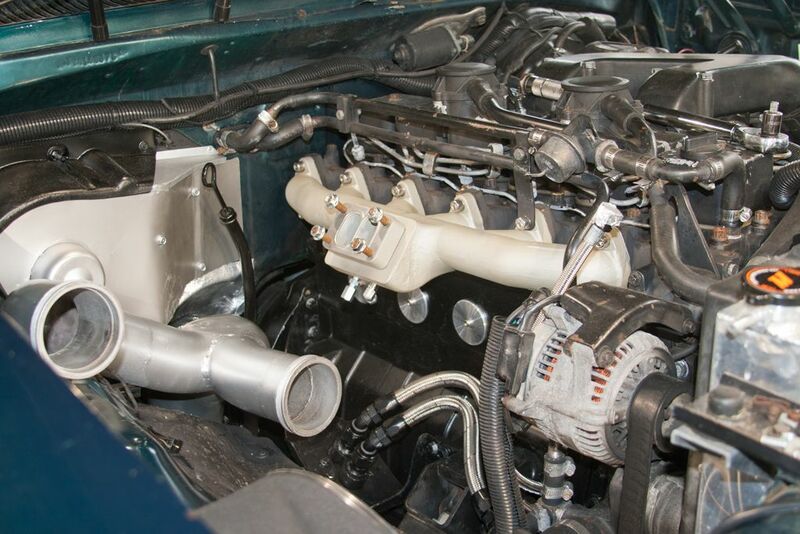 when I swapped intake off a 96 I had, on to a 93 I was working on ( but never materialized ) I really didn’t like finished set for some reason or another, but will come to mind when I install them sometime this spring/summer. Thinking they may have been a little larger internal diameter as well. At some point I’ll try myself but as someone on here said in a previous thread” it can be/get expensive being cheap”....words of wisdom!! Thanks for your feed back. You did real nice job....This is where you wish you could buy the lines in the lengths you needed...I wonder if you couldn’t tweak/retweak some off a 4bt if inside happened to be same? ?